Red Bull Studios presents a series of aftershows with Benga. 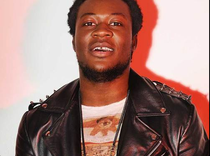 From humble beginnings on the nascent dubstep scene, Benga whipped what was inaugurally an underground rumble into a global music scene, spearheading a movement and growing to become the heavyweight artist he is today. Following last year’s six-part series chronicling the DJ, from the club-floors of Croydon to the global stage, Benga’s collaboration with Red Bull Studios re-emerges with a series of intimate live aftershows. The events follow the Example tour, for which Benga is the support act. Benga’s musical career has unfolded in tandem with his knack for penning an addictive beat. His long-term friendship and collaborations with fellow producers Skream and Artwork, has pushed him to the frontier of the dubstep scene. These aftershows crown what has been a top year for Benga, from arriving at Snowbombing via helicopter to his first solo showcase at XOYO. It's going to be finish of mine day, except before ending I am reading this wonderful piece of writing to improve my experience.